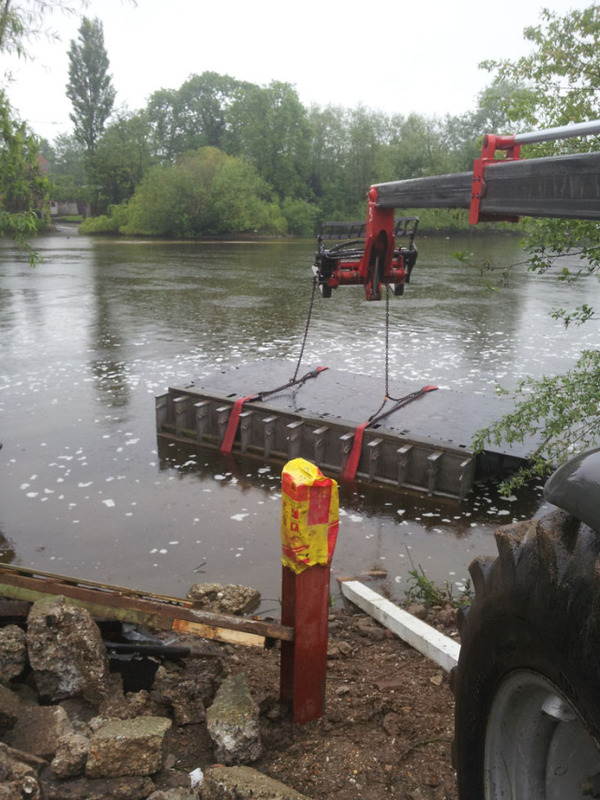 Site preparations for the UK’s first amphibious house have commenced adjacent to the River Thames in Marlow. The existing dwelling has been demolished and the chain ferry, fabricated from modified NATO floats from Holland, is in the water and operational. Ground works will begin shortly on this ‘water breaking’ project which is due to complete in Spring 2014. More updates to follow.